Our Junior Karate program meets a youth at the start of their physical and emotional development and helps them to discover the potential that lives within them. While the program develops physical skill, the class also stresses good social skills, and academic performance. Training is in traditional Okinawan Karate and Weaponry (Blue Belt and Above). All training is routed in practical Self Defense and Self Preservation principals. 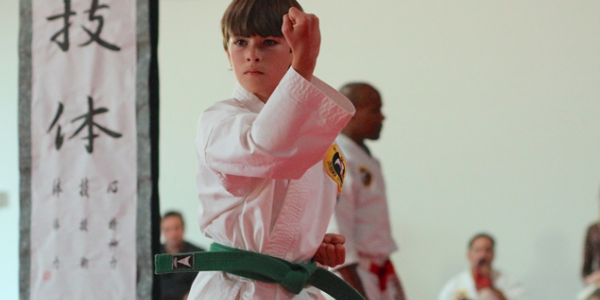 Students learn that Karate is far more than self-defense, it is for development of the whole person. We aim to develop greatness…Period.